T’s & C’s of this challenge: Eat this giant alone in one day without leaving restaurant. Staff acts as a referee. If you win your name will be immortalized on Wall of Fame and you get your Giant for free. Really quick and easy portion to prepare. You do not even need too many foodstuffs. 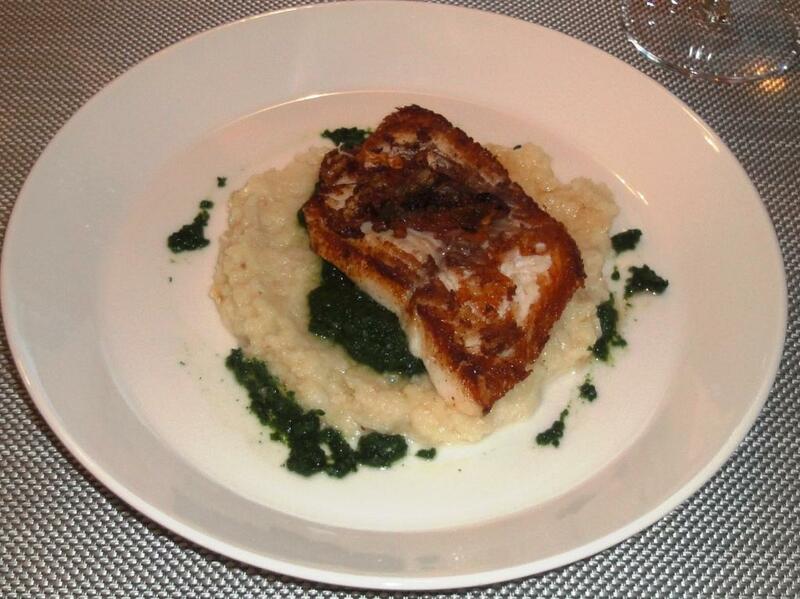 Suggest to prepare puree first because fish needs to be just fried. 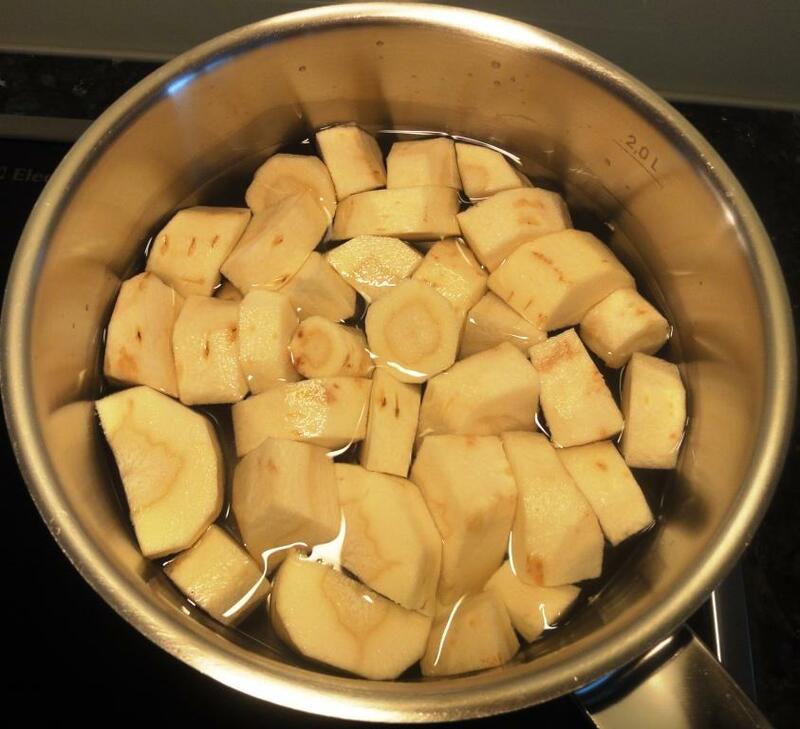 Instruction: Boil peeled parsnips in salt water. Puree parsnips and add goat cheese, butter, milk, salt and pepper. Would say most difficult part is frying the fish. 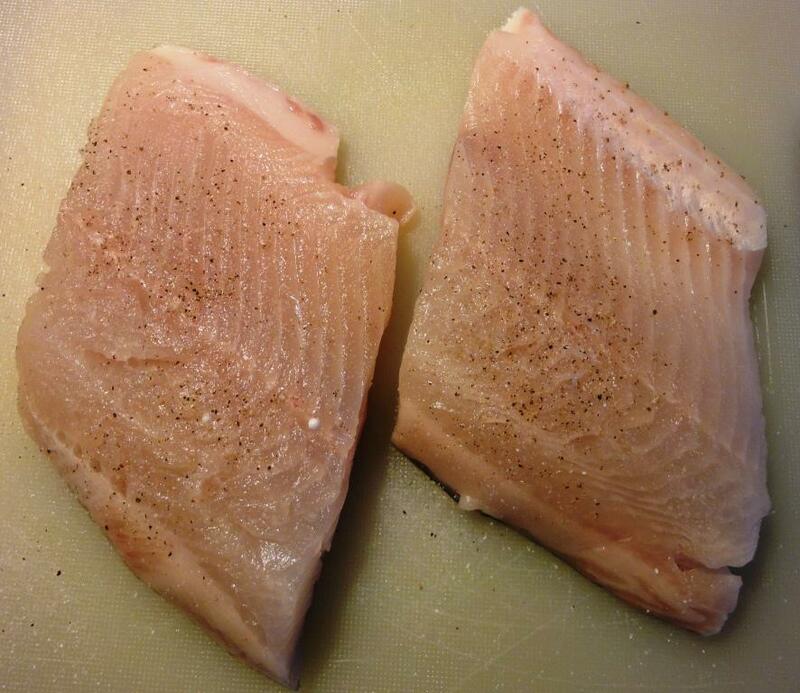 Whitefish skin is quite thin and it comes off too easily. 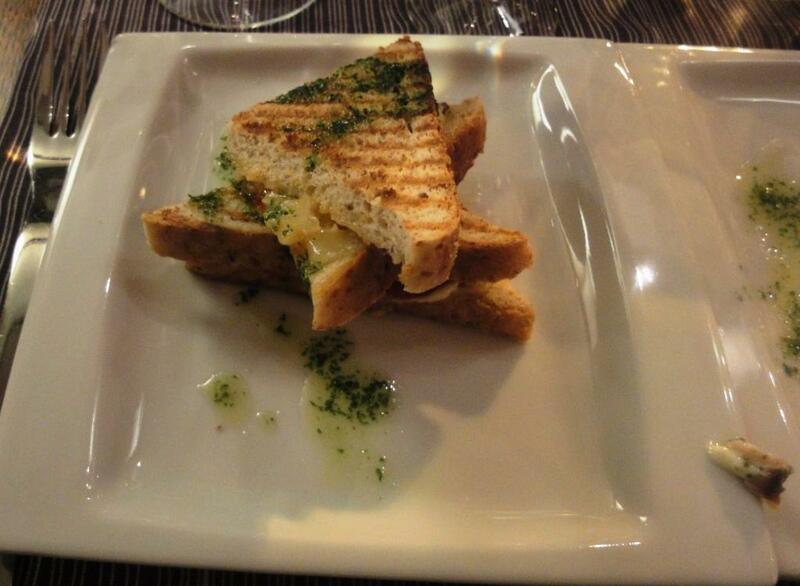 You could also add some potato to puree if you do not like the taste of parsnip; makes it softer. Famous Finnish architect and designer Alwar Aalto has desinged several buildings in Finland including Finlandia Hall as well as abroad. Buildings designed by him can be found also in USA, Germany, Italy, France, etc. One of his most known glassware works was Aalto (Savoy) vase. Think it is still one of the most popular items to by in Finland by tourists. Aalto was also responsible for interior design of classic restaurant Savoy in Helsinki, which still looks the same as 75 years ago. 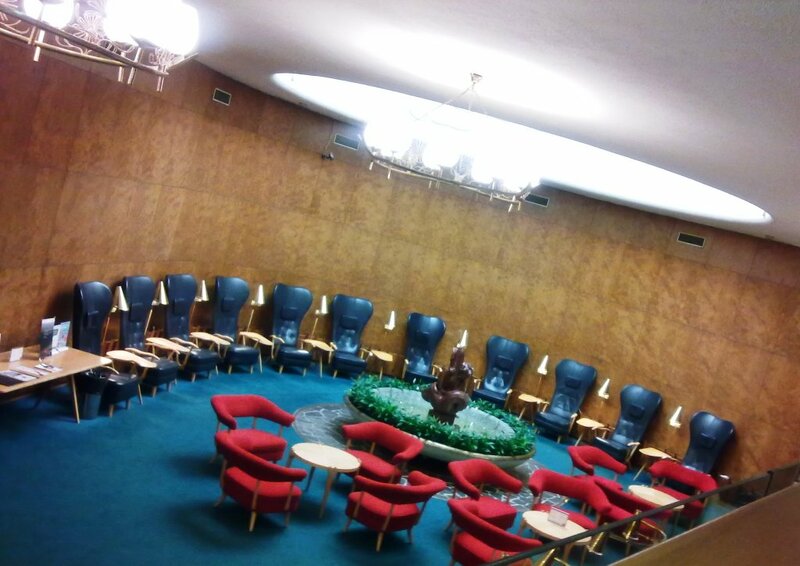 If you have any knowledge of Aalto, I would be interested in to hear how did you learn about him or his works. Do you have Aalto art pieces at your home? EXCUSE ME! This post should review wines, not art or design, am I wrong??!! 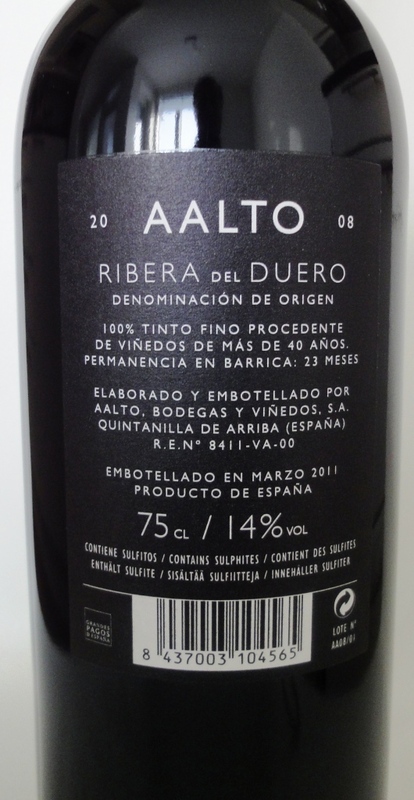 WAIT, there is link between Aalto and one Spanish winery and it’s wine……. Bodegas Aalto was founded in 1998 by Mariano Garcia, Vega Sicilia’s legendary winemaker of over 30 years, and Javier Zaccagini, former President of the Ribera del Duero AOC. 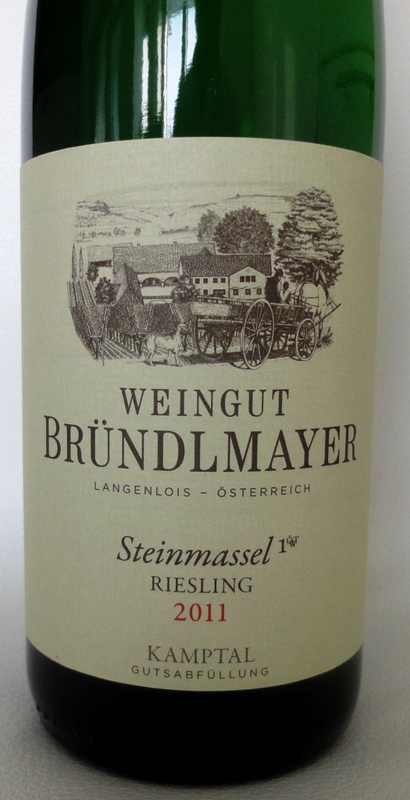 15 years since it was founded, the winery is considered one of the best in the region. The name of the winery was inspired by famous Finnish designer Alwar Aalto. Aalto is main wine for this winery and also reviewed wine carried Aalto name. Fantastic honours to Aalto! 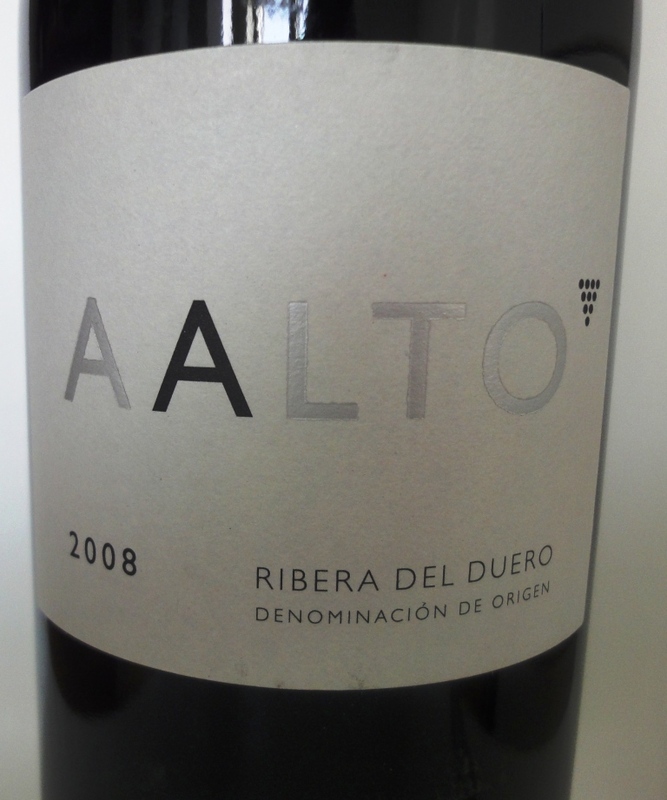 Grape used in producing Aalto red wine is 100% TINTO FINO. Tempranillo, more known grape, is known under a number of local synonyms in different regions of Spain, Cencibel and Tinto Fino are used in several regions, and it is also known as Tinta del País in Ribera del Duoro where Aalto winery is located. Label itself is one of the most minimalist seen before. Different colors of black and silver gray letters and small bunch of grapes in the upper right corner of O letter. Vintage 2008 was dark red like red wine grape looks before collecting. Bouquet was rich and pleasant, could recognize tempranillo. Some black berries and hint of fennel. Aroma became even more elegant after 10 minutes. Full-bodied, again elegant and soft. Filled mouth not just flowed down. Again tempranillo was easy to identify, one of the best Spanish wines ever tasted. Aalto wine is elegant but partly because of low production volume, it is not the most unexpensive. 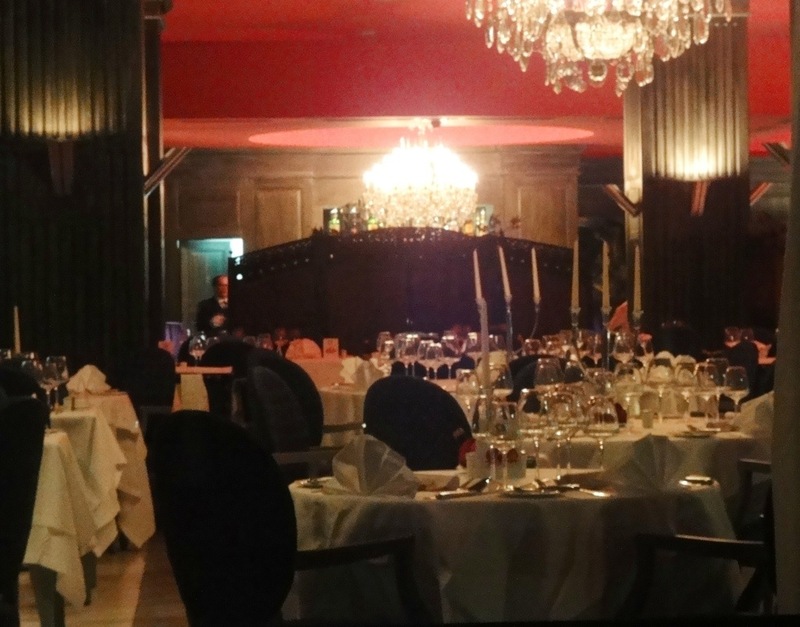 39€ in Alko and 145€ in restaurant Savoy, where it is available, does not allow wine to be enjoyed too often. Although you have to pay a little bit more the quality really provides value for the money. 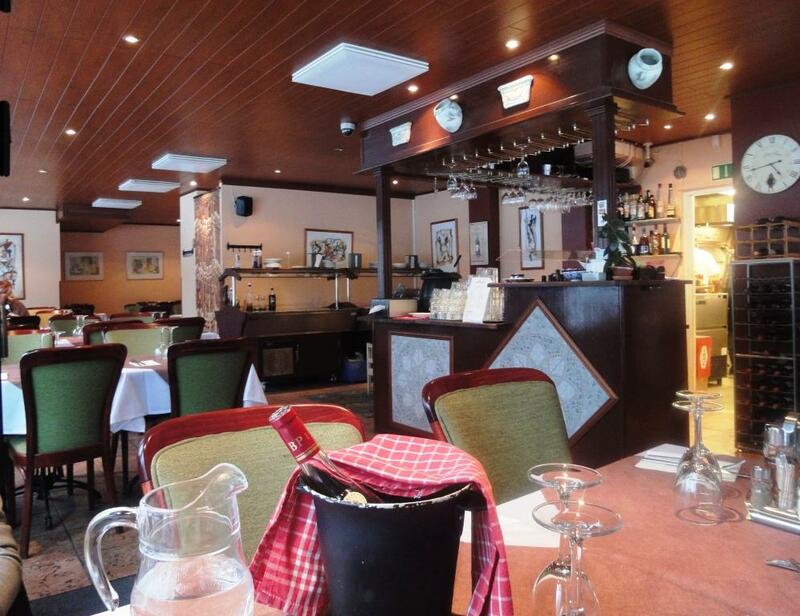 Restaurant Persilja (engl. 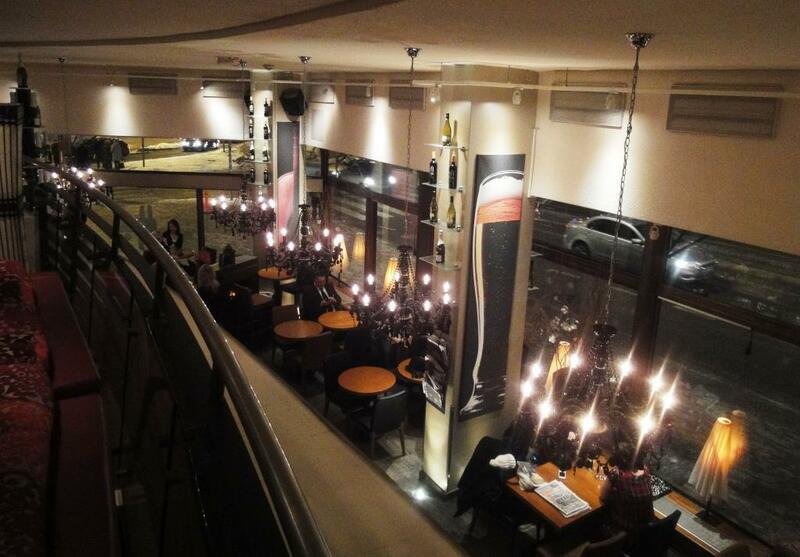 Parsley) was opened 2006 is same location where restaurant Basilica operated before. 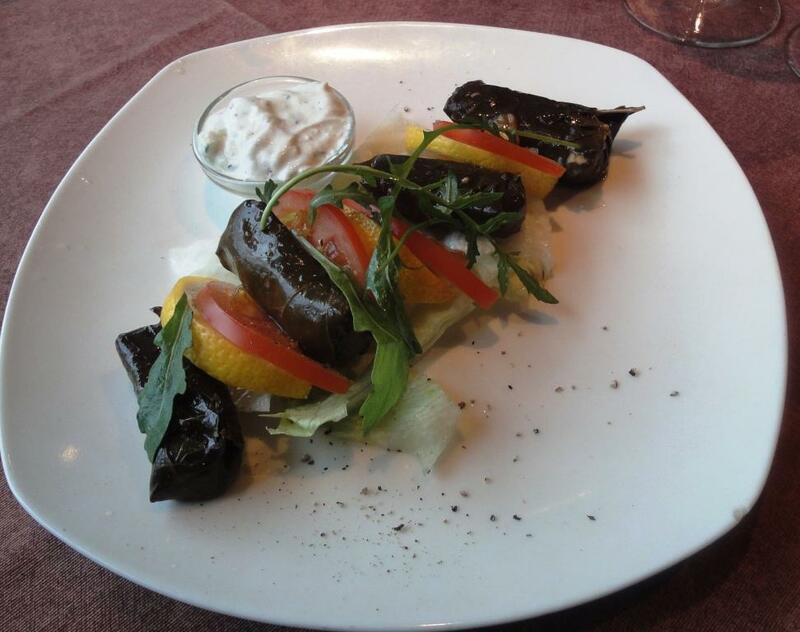 Suburban restaurant menu consists of food from Mediterranean countries, mainly Greek and Italy. Pizzas and pastas are large part of the menu. In the summer big terrace serves diners and if sun shines it is very popular. Wine list is short and missing riesling, our favourite. But wines are affordable compared to many other restaurants in the downtown of Helsinki. Have enjoyed sevaral times Meze -lautanen Meze plate Parma ham, mozzarella, artichoke, sun dried tomatoes, aubergine , dolmades, bahar salad and bread for starter and can recommend. 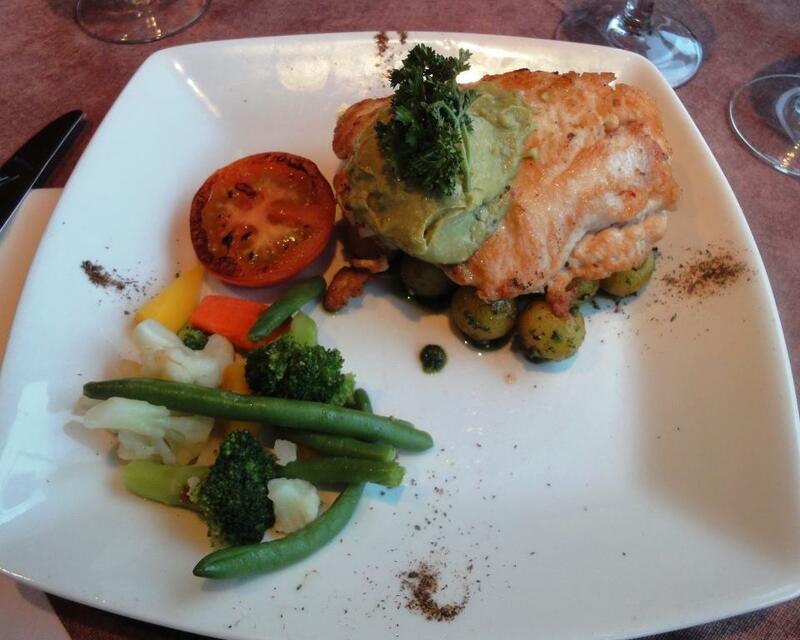 Portion for two is quite big and almost is enough to take your hunger away. If you order a la carte portion you always get greetings from kitchen to start with. 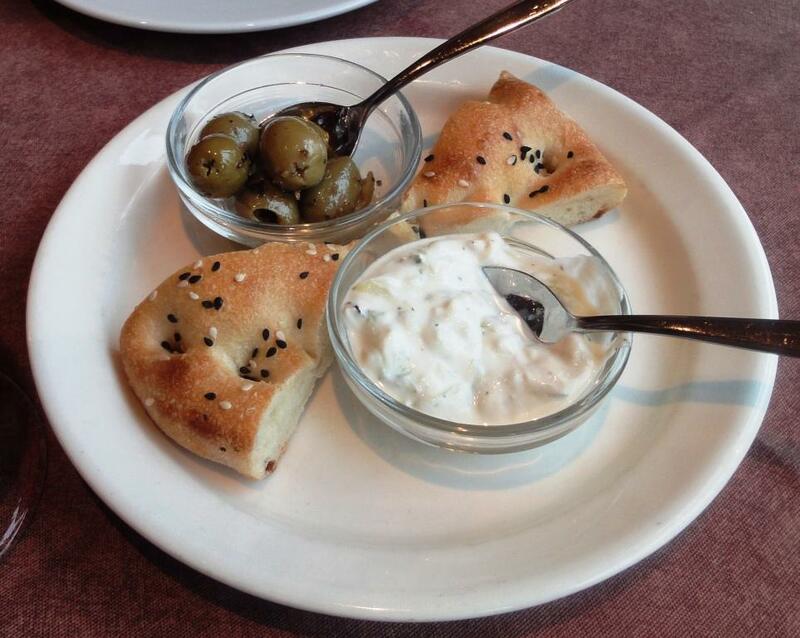 Foccacia, olives and tsatsiki. This time started late lunch with Dolmades & tsatsiki -dippi Grape leafs filled with rice and tsatsiki dip and Bruschetta Roasted pesto bread with aubergine, artichoke, tomatoes and mozzarella. 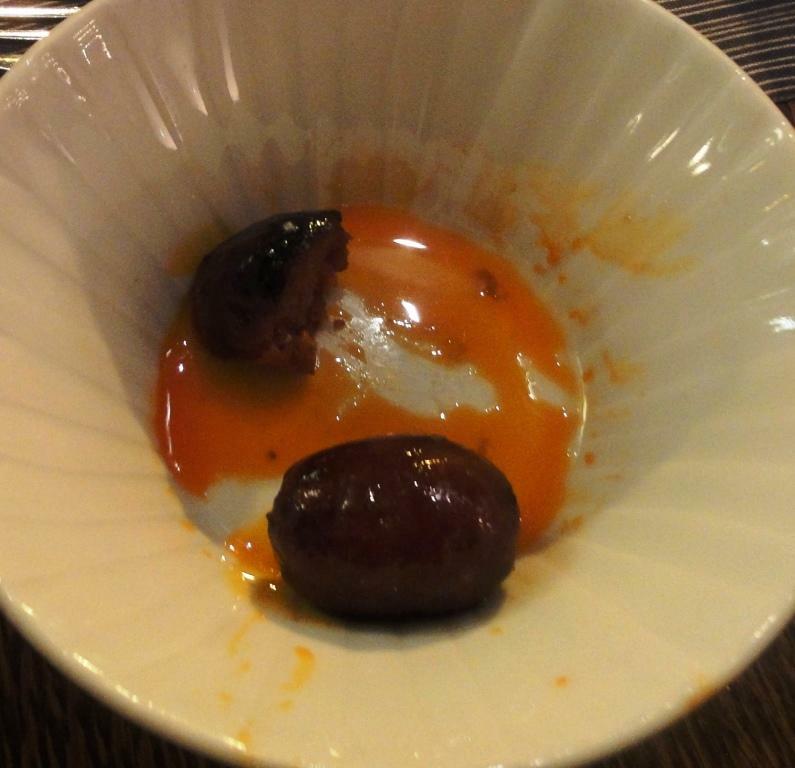 Both were OK. Would have prefered warm dolmades because then spices emerge better. 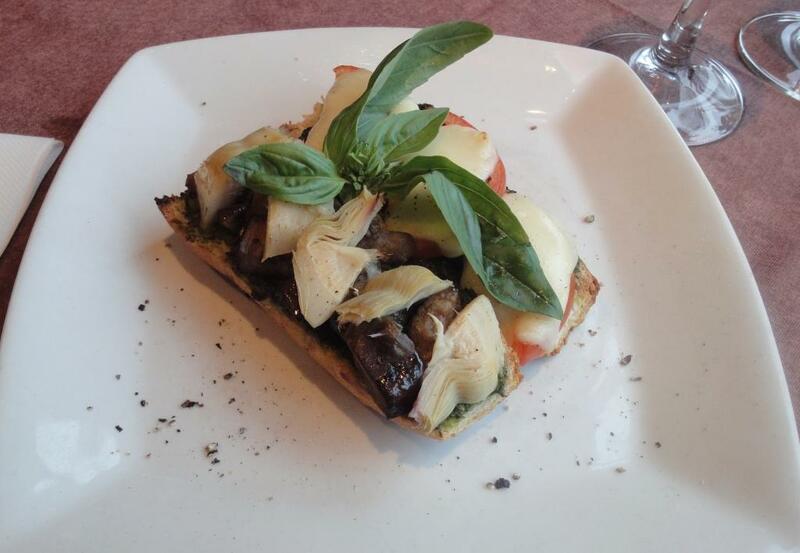 Bruschettas (2 pieces) were perfect, crusty and soft at the same time. For main courses had Kananlihasouvlaki Chicken breast skewers, rice, pomodor-demuglas sauce and Antonella Chicken breast filled with parma ham and mozzarella cheese, pesto potatoes and avocado sauce. Meat in skewers was too salty, otherwise good combination. Antonella (maybe name of the cook or owner?) is also our favourite at home. Salty parma ham and soft mozzarella stuffed in the chicken pocket form delicious combination. Maybe this time chicken was a little bit dry. Portions at restaurant Persilja are always large. Small problem is the amount of salt used in the chicken. Service is attentive, one example: You can order also take away food from the restaurant. Waiter helped to carry portions to a car for a man with babe in arms. Outside temperature 0C degrees and waiter did not even put a jacket on. Restaurant Casa Largo on the ground floor of Sokos department store is a modern “Spanish” restaurant with a bar, tapas bar and restaurant as well as wine bar. Main dining room is on 1st floor opposite of Railway Station and tapas bar is on 2nd floor. You can see hotel Vaakuna reception from so called 2nd floor wine bar which is behind tapas bar. Functionalist style, which was popular during Helsinki Olympic games 1952 including Glass Palace (Lasipalatsi) being opposite the hotel Vaakuna, has been maintained. 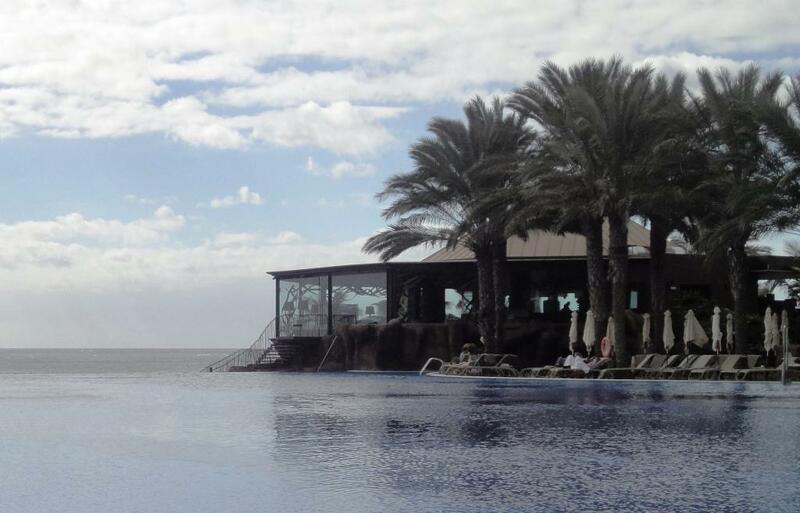 Picture below is from the hotel lobby taken from the Casa Largo wine bar. 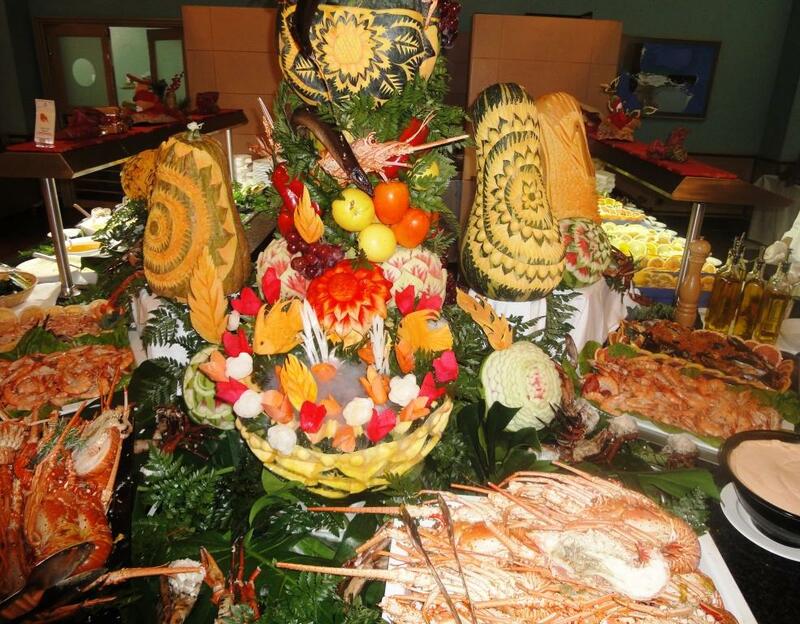 All HOK-Elanto restaurants have Champagne offer for the whole year 2013. You can get bottle of Nicolas Feuillatte Brut for 39€, which costs the same as wines at the restaurant. Had to taste it instead of Cava although we were in the “Spanish” restaurant. BUT, it was served too warm which made the tasting useless. Pity for champagne,,,,Hopefully champagne is not wasted in other HOK-Elanto restaurants. Started dinner with Tapas frias & calientes: TOSTADAS manchego, piquillo peppers and aioli on toast and several times POLLO AL AJILLO garlic seasoned chicken, Really delicious and well prepared dishes. 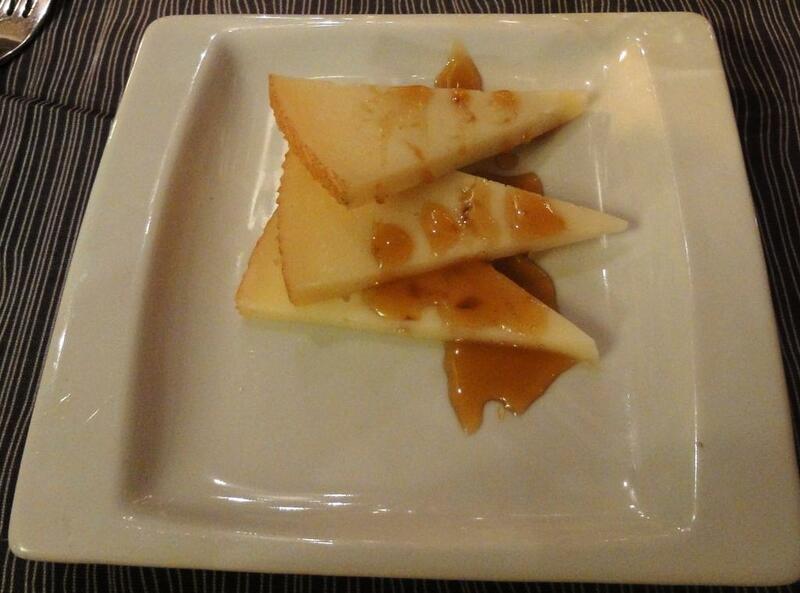 Also had Tapas frias: QUESO MANCHEGO Manchego cheese and rosemary honey and CHORIZO Chorizo sausage. To be honest tapas were best part of dinner. 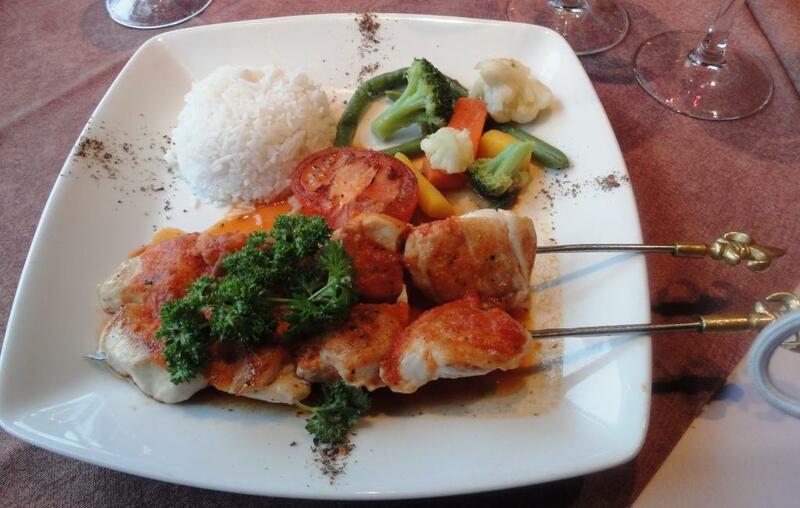 Recommend to order 4 tapas dishes for main course and you are there. 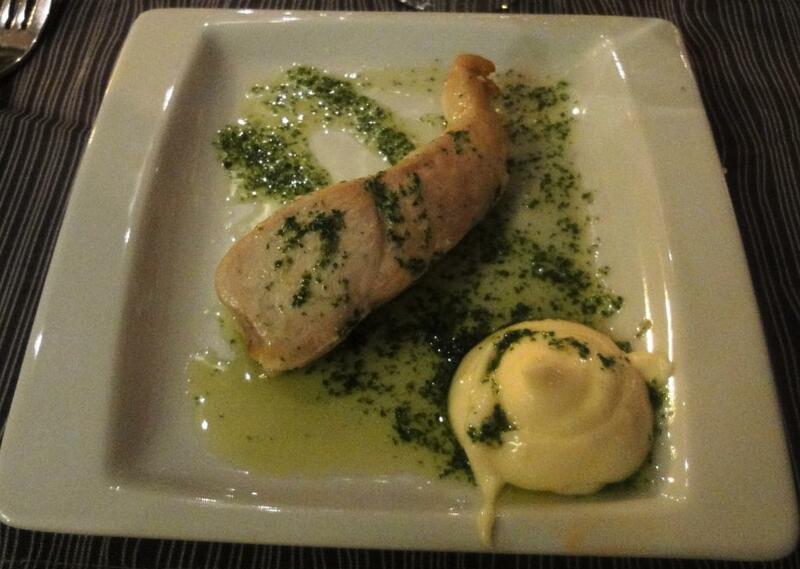 Chicken has been always delicious and seldom Manchego lets you down. TORTILLA ESPAÑOLA potato omelette was OK but original ones in Spain beat this one. For main courses had 2 times DORADA A LA PARRILLA whole gilthead bream, grilled and stuffed with garlic butter and herbs, served with escalivada vegetables and herbs. 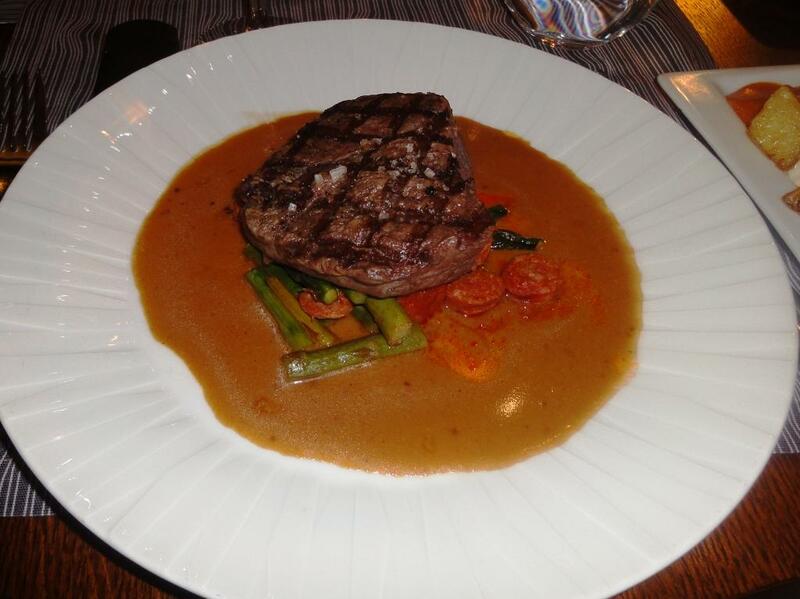 Because Solomillo is usually good test for quality of kitchen compared to original Spanish kitchen, also ordered SOLOMILLO A LA PIMIENTA grilled fillet of beef (200g) with creamy peppersauce. Guilthead was basically ok but it was over cooked. Meat was best part of main course, really tender and soft, to be honest better than same dishes in Spain. 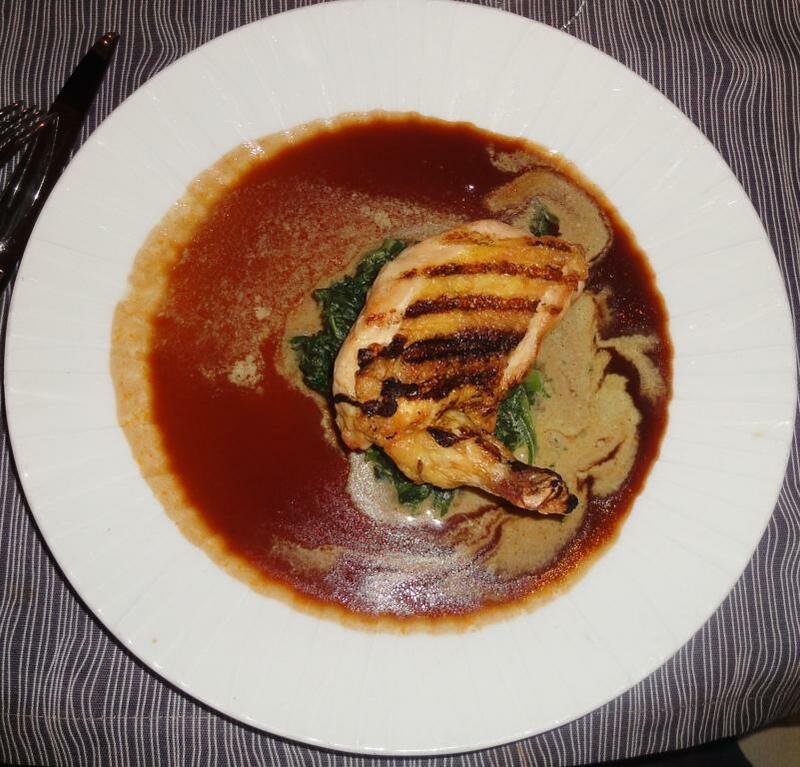 Also ordered POLLO ASADO CON CREMA ESPINACAS corn fed chicken breast with creamy spinach and sherry sauce. Unfortunately chicken was too dry. You have to order side dish from separate list (no additional cost); alternatives were TORTILLA ESPAÑOLA potato omelette, ARROZ rice with saffron, PATATAS BRAVAS fried potatoes with salsa brava and aioli and ENSALADA salad. 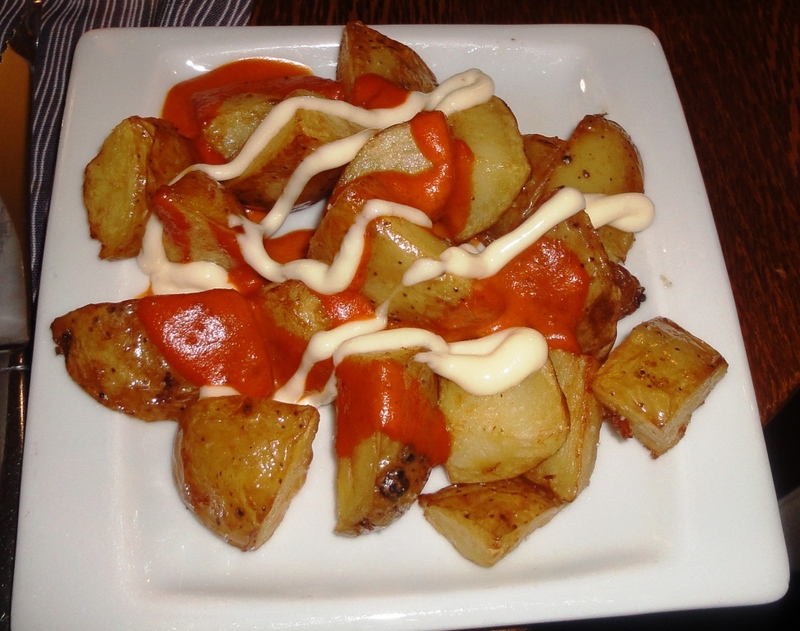 You could order Patatas Bravas as one of the tapas starters but it suited well with Solomillo, this was bull’s eye pairing! 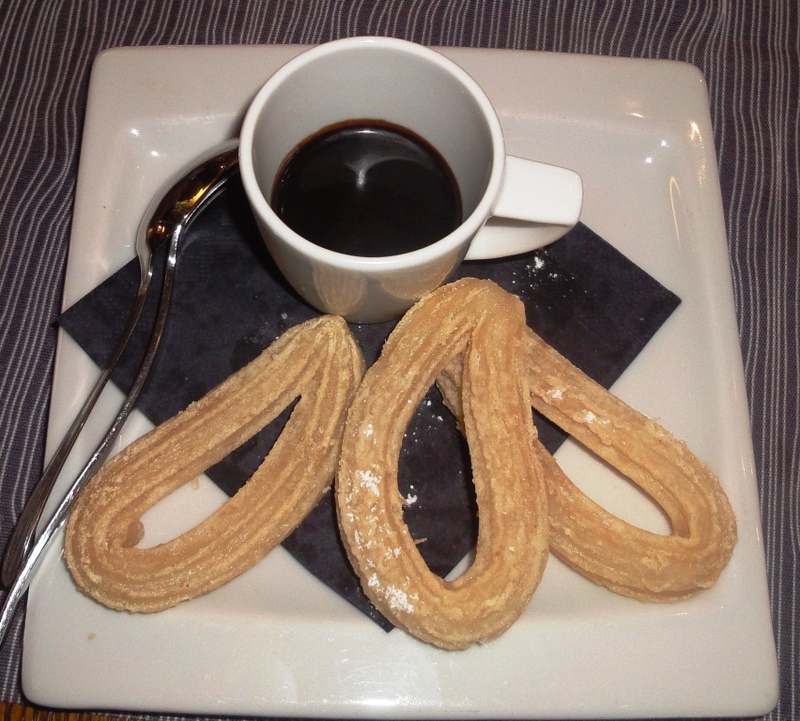 For desserts ordered famous Spanish “Churros”. Unfortunately you should stick to original churros because this version was not enough baked. 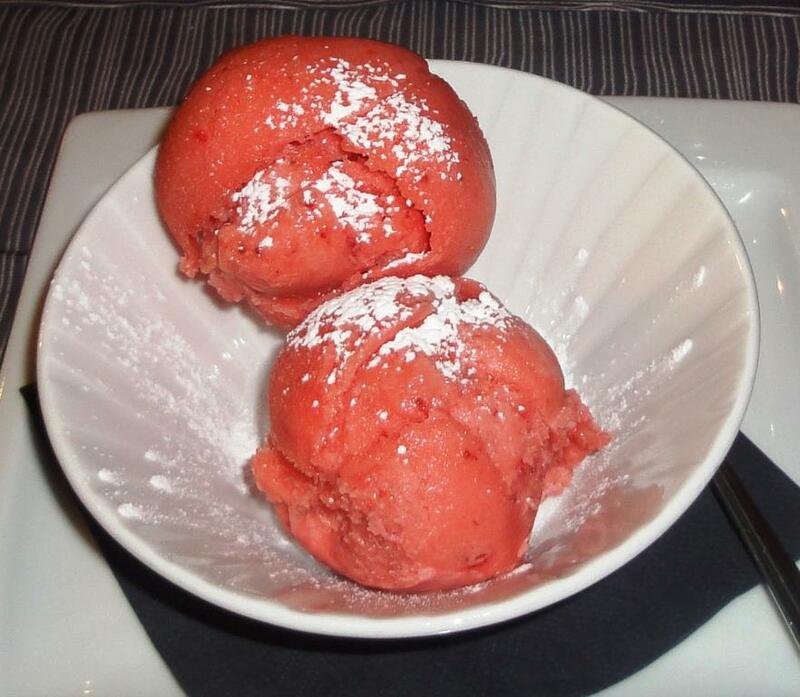 Churros are perfect if prepared well and sorbet is always eatable, if prepared at the restaurant. Do not know if it was, because of the chewyness. Unfortunately service had not improved. We had to ask several times for service but requestd were forgotten. Also paying was problem, had to go to cashier as mobile system did not work. Casa Largo is really popular restaurant because of location. 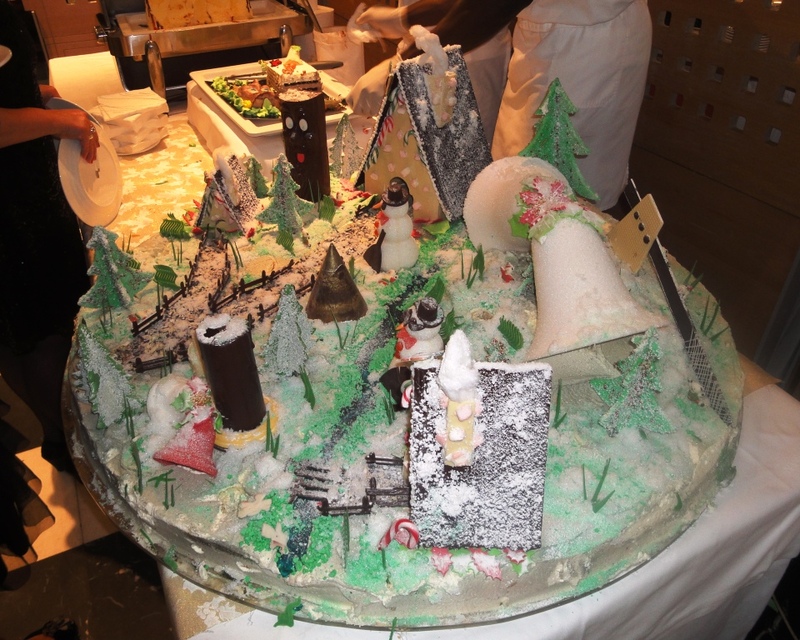 Remember to book table beforehand but be careful your wishes are conveyd to restaurant, ours were not. 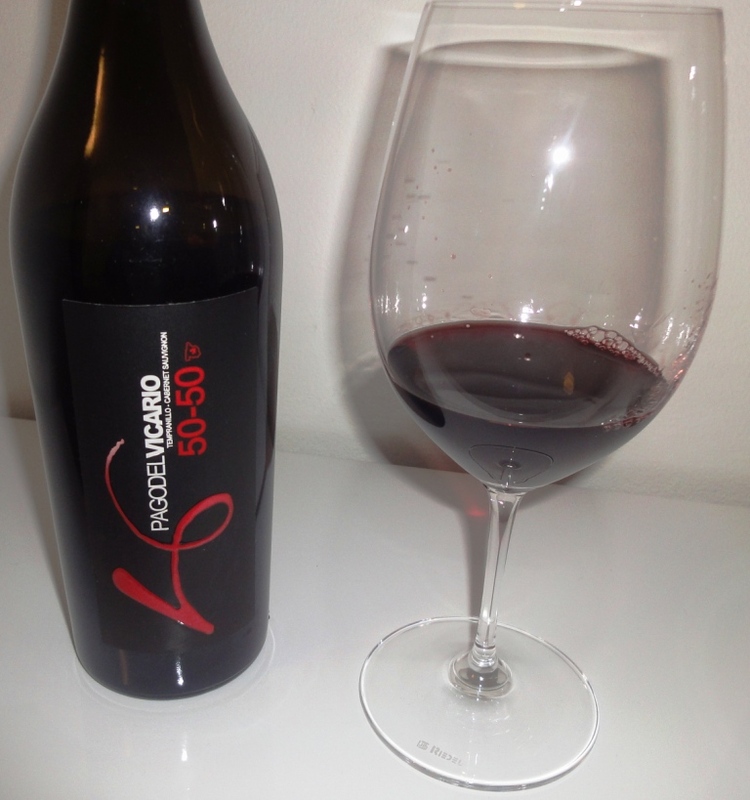 Pago del Vicario 50/50 is Spanish wine. It comes from one of the La Mancha bodegas, Pago del Vicario, which is located at a distance of nine kilometres from Ciudad Real. Bodega sells its wines under the appellation of Vino de la Tierra de Castilla. There are also a hotel and restaurant carrying same name. Grapes and share of them used are, as you might guess from the name, TEMPRANILLO (50 %), CABERNET SAUVIGNON (50 %). Tempranillo is a variety of black grape widely grown to make full-bodied but soft red wines in its native Spain. Cabernet Savignon brings the body to this wine. 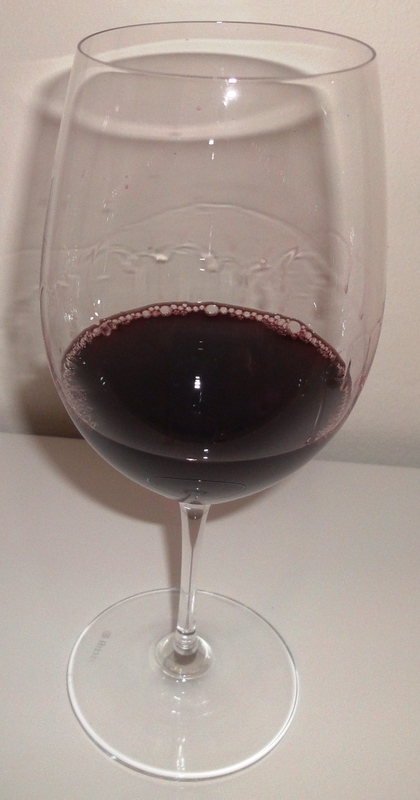 Vintage 2008 is deep red with brown tinge. Maybe wine had already got some depth. When wine flows along the surface of glass after spinnng it, wine does it slowly bringing out vintage and wine posture. Strong aroma partly because fo tannins. Almost can scent alcohol which is unusual observation. Fills mouth with quite strong taste. Tannins can be found clearly but not disruptively. Some bramble; taste is balanced. The design of the bottle is cool. Black glass bottle and black label make a solemn effect. On the other hand shape of the bottle which thickens toward the neck of the bottle gives the impression of luxury wine. Wine tasting is ensemble of different phases and observations; this wine gives opportunity to use all senses, even artistic ones. As taste is quite strong and wine includes tannis recommend to enjoy Pago del Vicario 50/50 with red meats and spiced foods. Actually suited really well with the pasta we prepared same day, picture and preparing instructions on the page “Dining at home”. 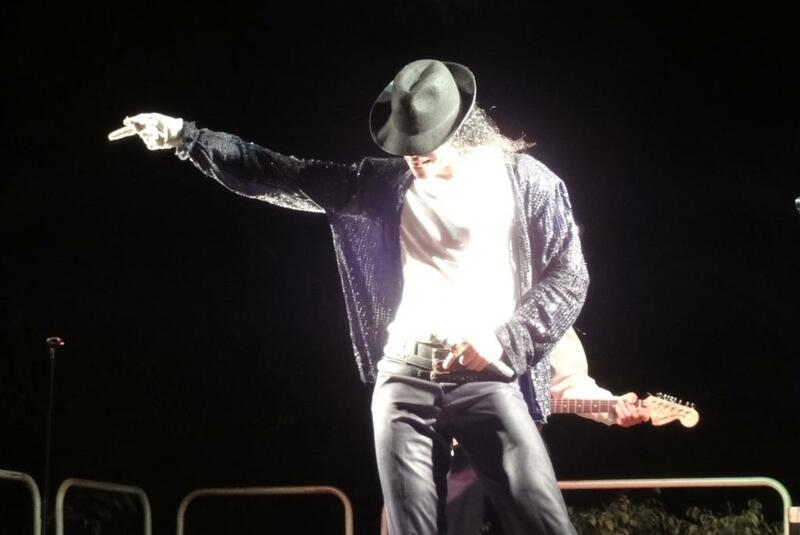 Check out “Michael Jackson” and lobby videos below! 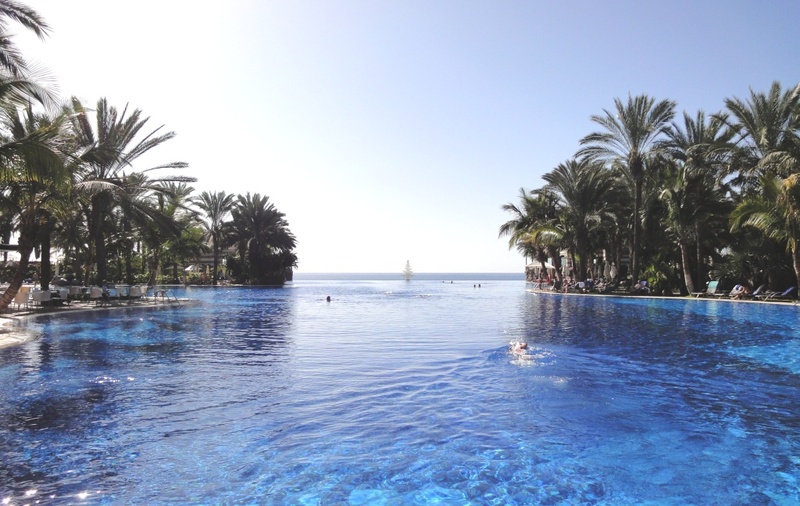 Lopesan Costa Meloneras Resort Spa & Casino, a 4 star category hotel, is located on the sea front and just a few metres from the Nature Reserve of Dunas de Maspalomas, in the south of Gran Canaria island. 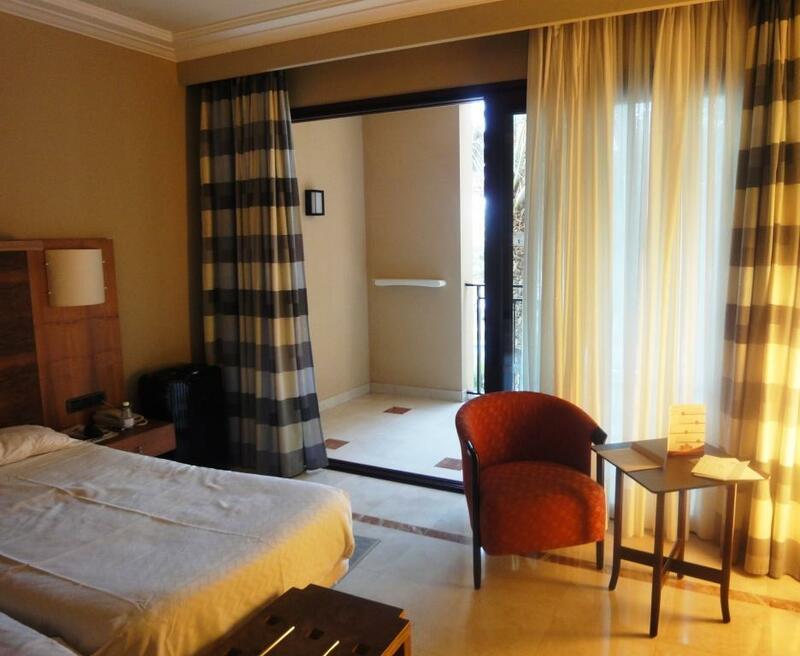 Hotel is the biggest in Canary Island with over 1000 rooms. Have stayed at this hotel already 4 times, maybe getting too comfort-loving or just like this hotel. But never before during Christmas and New Year, which had pros and cons. New Years Eve party was amazing compared to ones in Finland for several reasons; warm weather outside instead of freezing, adult-like celebrating instead of too heavy drinking and trouble making and well prepared program. 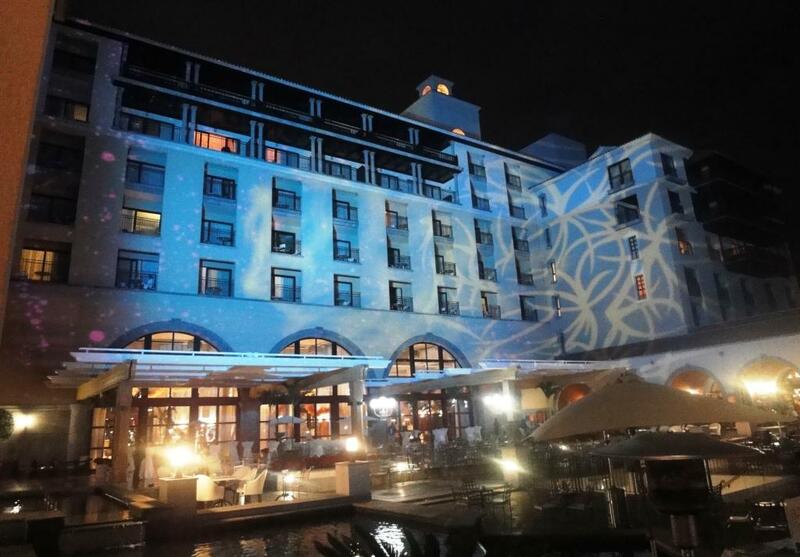 Great light show on the hotel walls and firefors. On the other hand expensive time including dinners. Standard rooms are quite simple a little bit worn but spacious, best part is bathroom with separate bath tube and shower and balcony, of course. If you want to have pool and garden view, you have to pay some extra but it is worth of it. Lopesan Costa Meloneras Resort, Spa & Casino invites its visitors to enjoy an atmosphere of peaceful activity in which you can practice all types of sports and look after body and mind in the fantastic Spa Corallium, a real gift for the senses in an impressive centre inspired by the volcanic nature of the island. Have visited spa and it is one of the best equipped have seen with different saunas, pools and relaxing rooms. Several saunas including African sauna (like Finnish), steam sauna, Turkish Hammamet and salt pool and different water treatments and relaxing rooms….Unfortunately no pictures because did not want to carry camera with me. 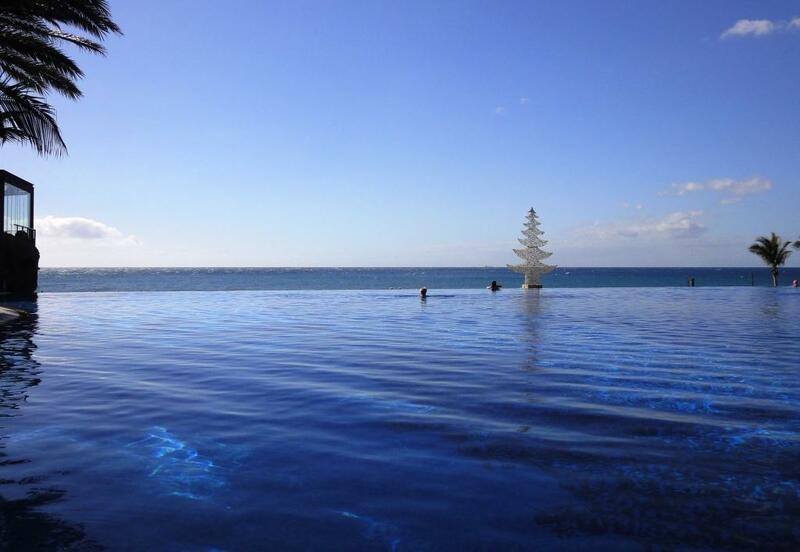 Most photographed area at the hotel is Lago Pool which seems to end to Atlantic Ocean. If hotel is introduced in some travel magazine you will see same view almost every time. 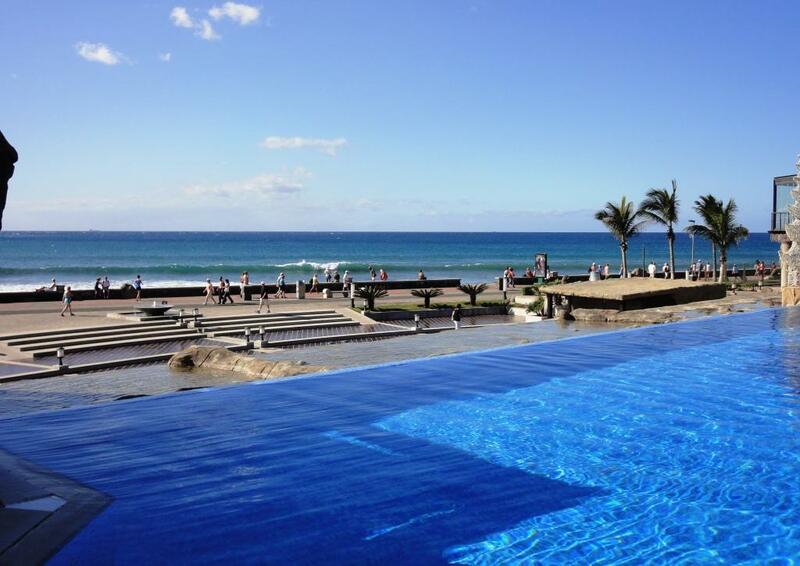 And pool really is marvelous but unfortunately in the winter time too cold, at least for us. 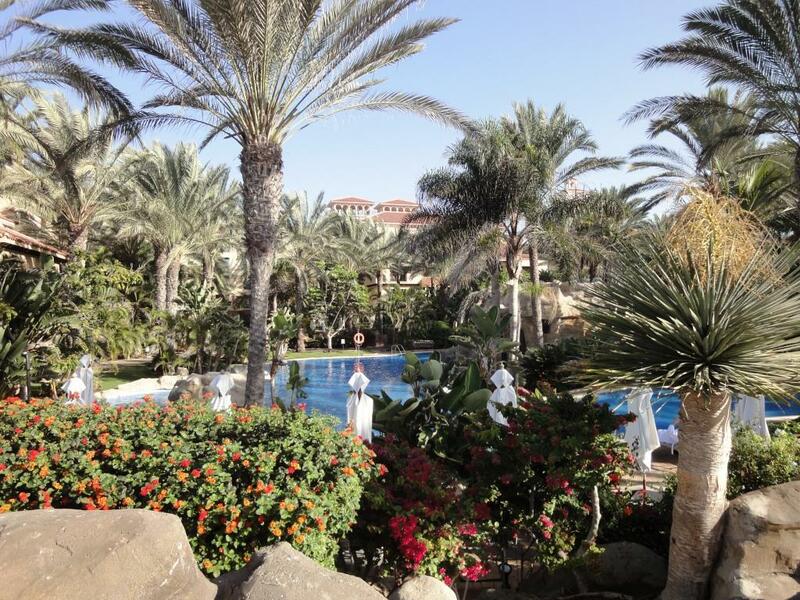 Four different pools makes the difference and the garden and the mini golf and tennis court and…. Quiet pool is situated at the far end of hotel, quite nice spitting dogs guarding the peace. 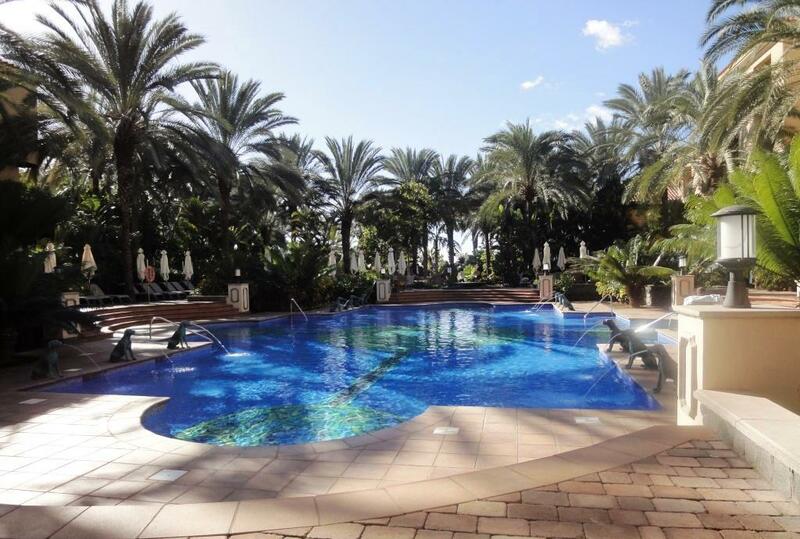 If you want to swim around the garden you can use pool whic is in the middle of the pool area. You can walk via two small bridges over this pool. 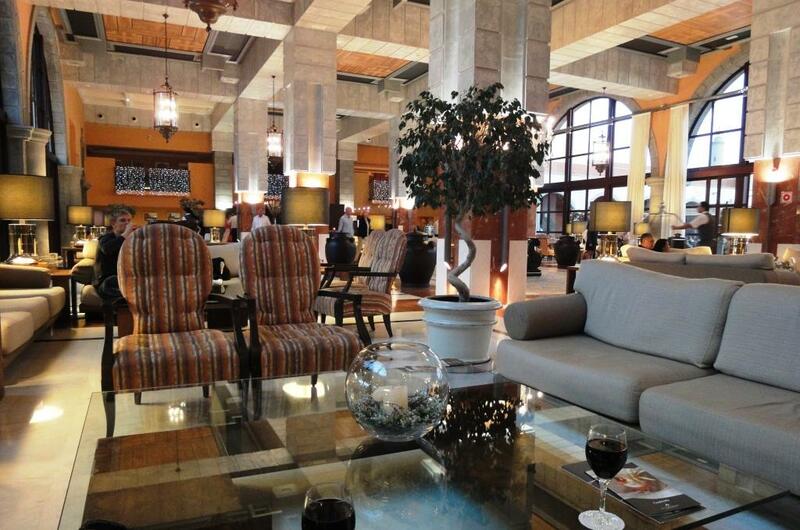 Hotel lobby is large and service is excellent…Only place you can use WiFi for free. So this is the weakest link of the hotel which is otherwise almost perfect. And top of all great performances every evening at the stage. Was amazed to see that “Michael Jackson” was alive and kicking. 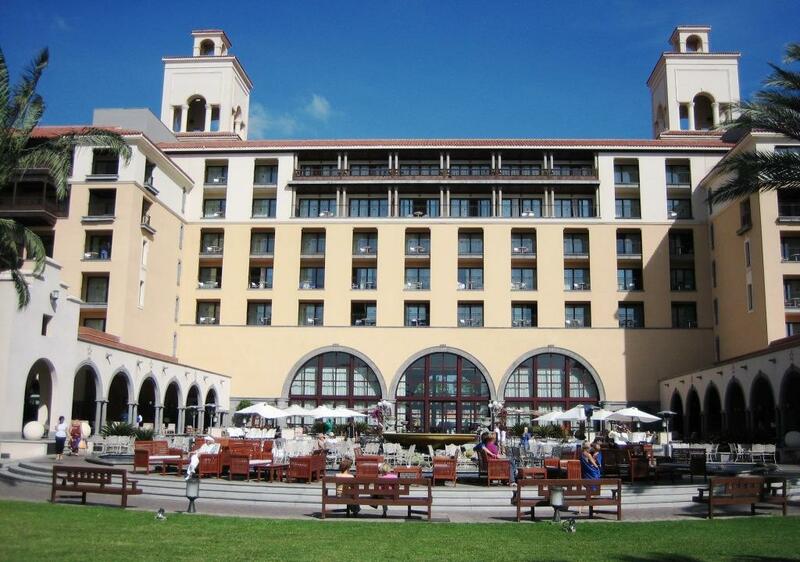 This Lopesan hotel is perfect for us because it is enough big, all services available and lot’s of good restaurants nearby. Also the area around is modern and quite new. No bibulous tourists who used to take part in the pig feasts in the past. 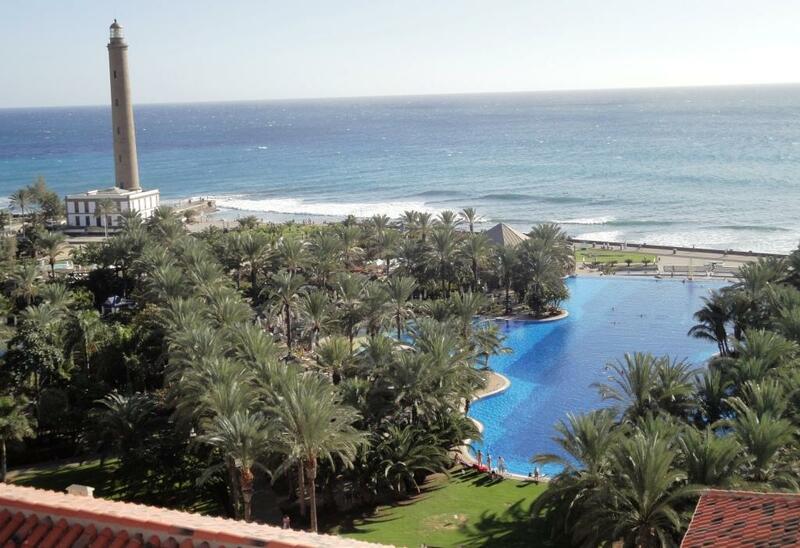 Also Maspalomas dunes are just around the corner.